Tiffany Boutcher is an associate attorney in Lamson Dugan & Murray’s litigation department. Ms. Boutcher is originally from Omaha, Nebraska. Ms. Boutcher received her bachelor’s degree in Psychology, with minors in Criminal Justice and Business, from the University of Nebraska in Lincoln. Ms. Boutcher graduated with distinction from the University of Nebraska College of Law, with an emphasis on Civil Litigation. 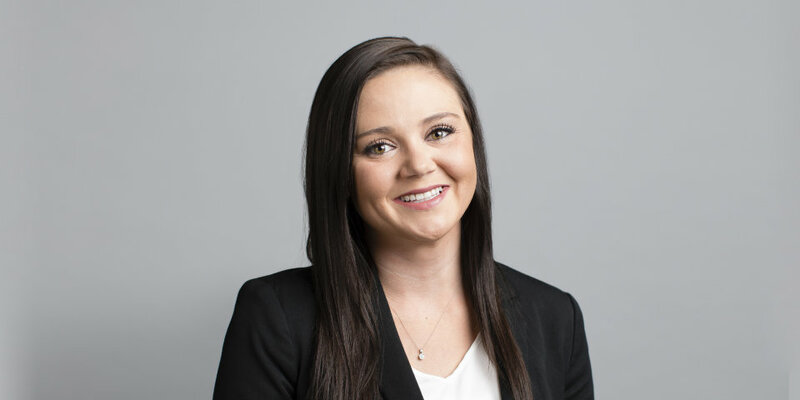 Ms. Boutcher was selected to be a member of Nebraska College of Law’s Chapter of Order of the Barristers, a national honors society that recognizes students who have excelled in oral advocacy programs during their time at law school. At law school, Ms. Boutcher was one of six individuals chosen to represent the Nebraska College of Law on its National Moot Court Team and also its National Trial Team. She was the only individual in her class to be selected for both of these prestigious teams. Ms. Boutcher also participated in Nebraska College of Law’s Civil Clinic as a Senior Certified Student Attorney during her time at law school. Her work on behalf of her clients led Ms. Boutcher to be selected as the Outstanding Civil Clinic Student of the 2017-2018 Year, which is awarded to one student who demonstrates excellence in the fundamental legal and advocacy skills that a lawyer should possess in the representation of their clients. During her time at Nebraska Law, Ms. Boutcher received the prominent CALI Excellence for the Future Award in numerous litigation-based courses: Evidence; Trial Advocacy; Remedies and Damages; Civil Clinical Practice; Legal Profession; and Advocacy in Mediation. The CALI Award is given to the highest scoring student in each law school class. Ms. Boutcher received her undergraduate degree from the University of Nebraska – Lincoln and her law degree from the University of Nebraska College of Law, with distinction. Order of the Barristers; Outstanding Civil Clinic Student of the 2017-2018 Year; CALI Excellence for the Future Awards in: Evidence, Trial Advocacy, Remedies and Damages, Civil Clinical Practice, Legal Profession, and Advocacy in Mediation. Ms. Boutcher is licensed to practice in Nebraska State Courts, Iowa State Courts, and the U.S. District Court, District of Nebraska. Ms. Boutcher is a member of the Nebraska State Bar Association, Omaha Bar Association, Iowa State Bar Association, American Bar Association, the Nebraska Defense Counsel Association, the Nebraska Association of Trial Attorneys, and the Robert M. Spire American Inns of Court.